Glad you liked. 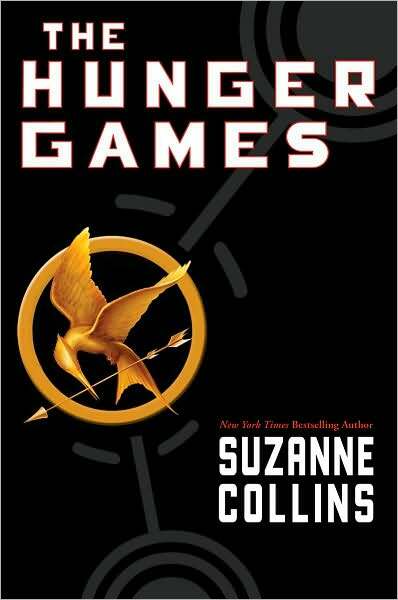 A friend recommend the trilogy because of its strong female lead and I really liked the series. And like you, I'm not too into sci-fi. Another series I picked up at the same time (recommended by the same person for the same reason) was Graceling (sequel Fire, final book out this year Bitterblue), a fantasy story I'd recommend. My friend partially recommended the two so I'd see the difference between sci-fi and fantasy, a distinction she finds important. Hi, A! It's Amy L (Manda's friend, from bookclub). I'm new to the commenting on blogs thing, but felt compelled to respond because I've been reading your blog, and I love it. 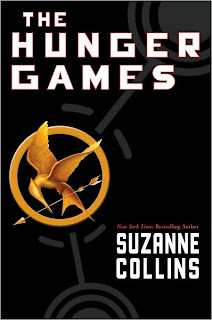 :) I really am enjoying "The Hunger Games," and am on "Mockingjay." The books kept being brought to my attention in late '10 and early this month, so I decided to dive in, and am so glad I did. I ended up buying them because they seem like classics in the making I'll want to read again and share. Thanks for covering them! Two new commenters - welcome! Thanks for the comment, Jan. I'm excited about the movies, too. Amy, so glad to hear you like the Hunger Games too! That means we'll have to convince our other book club friends to read them and then all go to the movies together - woo! Have you read Room? I just finished and WOW. Blew my mind.